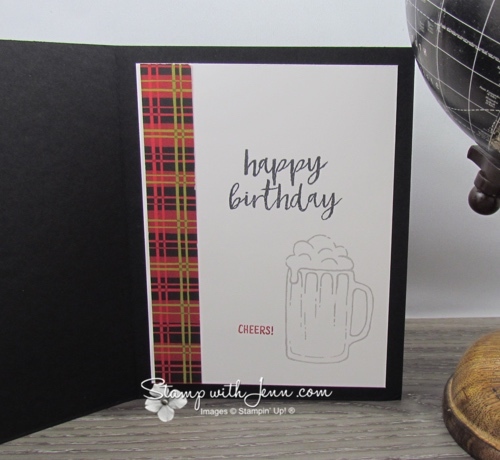 I made this card for a male friend’s 50th birthday. 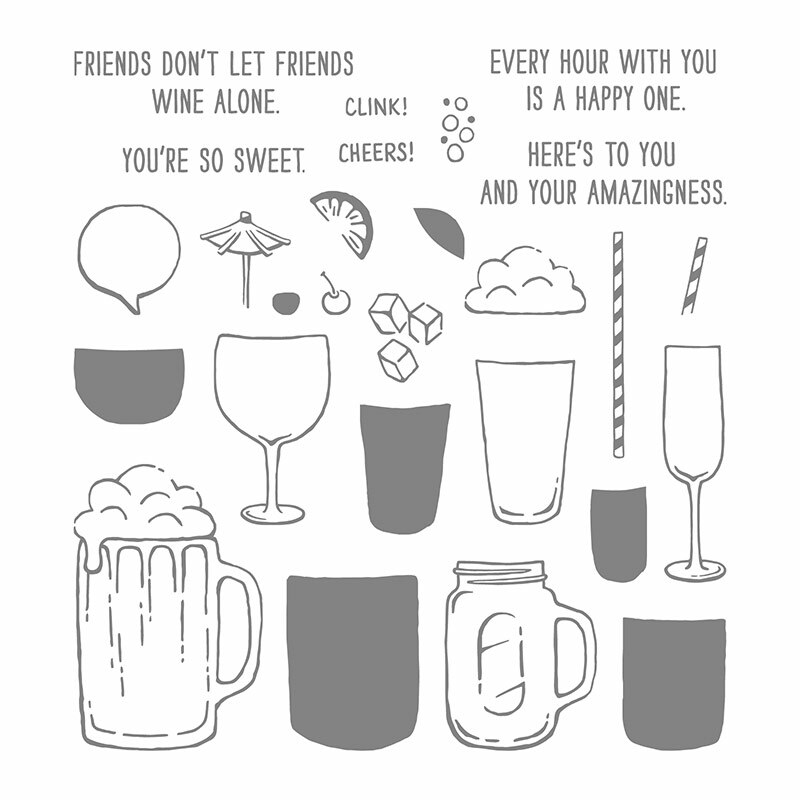 I used the Mixed Drinks stamp set for the beer glass and the Milestone Moments for the greeting. 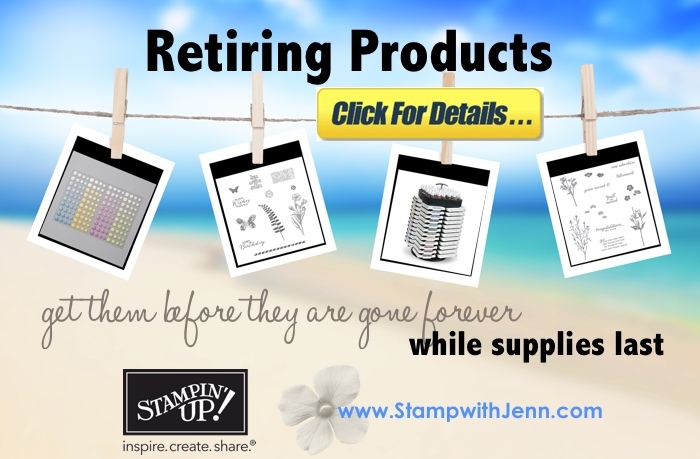 Sadly, both of these stamp sets on on the Stampin’ Up! retirement list. See the complete retiring list HERE. I even stamped the inside of the card. 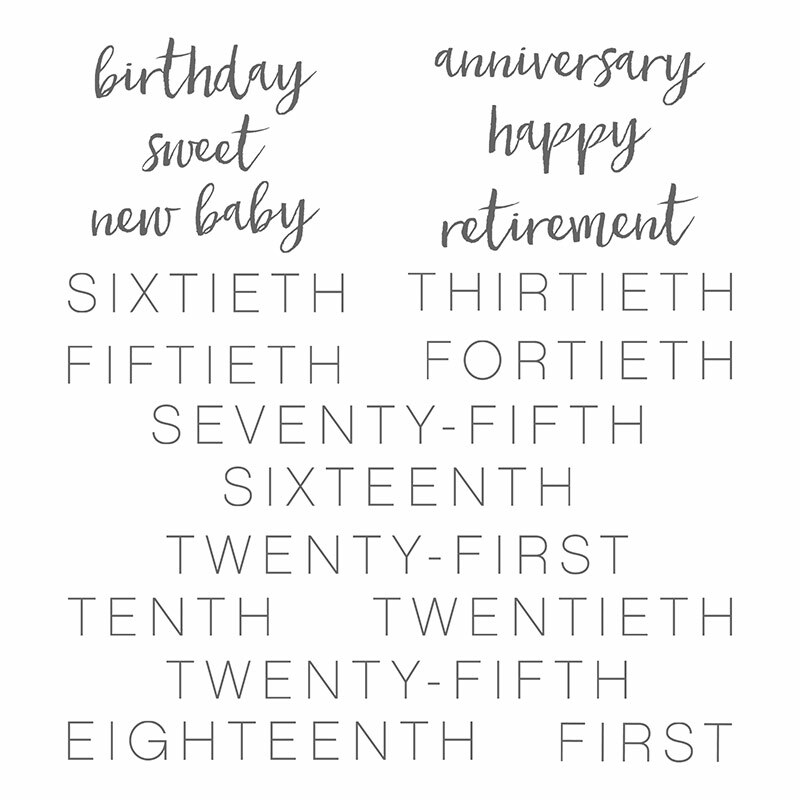 I love that the Milestone Moments stamp set has some words for major occasions. 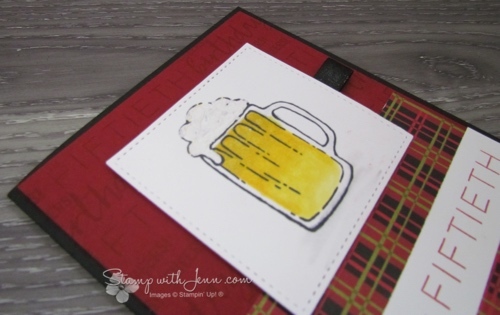 On the top of the beer, I made the “foam” by adding white embossing powder on top of some of the fine tip glue pen. I then heated it up until it bubbled. I used the Stampin’ Up! Blends markers to colour the beer mug. 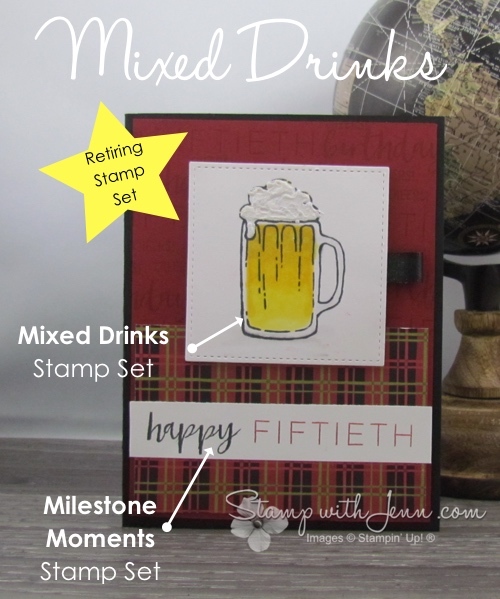 The Mixed Drinks stamp set can make lots of fun cards from birthday to thank yous and it is also great for masculine cards too!